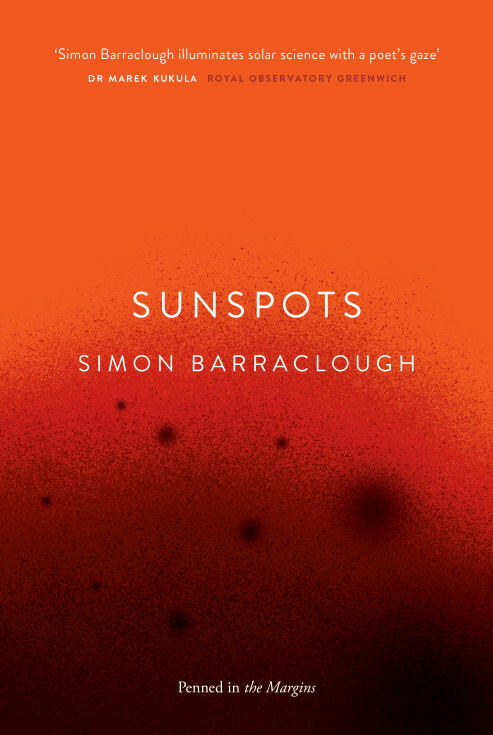 The sun is a playful star in Simon Barraclough’s Sunspots, his third full collection: it dresses up, disguises itself, and hijacks other poets’ poems. The book is a sometimes serious, sometimes comical homage to our home star, shot through with variations on themes and forms: the sun in art and literature, the sun in sonnets, haikus, prayers and nursery rhymes. The sun is our centre: life on earth relies on its energy, and the planets are captivated by its mass. Similarly, Sunspots occupies the centre of gravity in a more multimedia work. 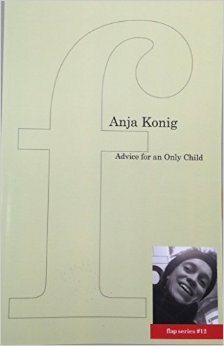 This review is focused only on the printed collection of poems. My favourite poems are those in which the sun plays its everyday role, illuminating, casting shadows, scorching us. A whole relationship emerges out of this short piece: carelessness, yearning, jealousy? I’ll work all day on that tender, precious spot. When Barraclough reaches out into space, he sees our star in its place among peers and planets, wistful and funny, taking us for a wild ride. the Sun-kissed flyblown wounds of everything that exists? 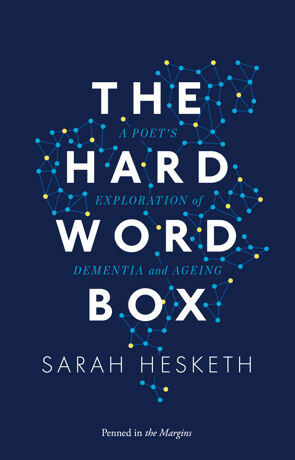 Interspersed throughout the book are versions of other poems and works of literature. The sun travels through Shakespeare, Nabokov, Proust, John Berryman, Christopher Smart. Barraclough also takes us on a trip through art history. The sun discloses his (her?) favorite painters – Malevich, van Gogh, Seurat, Miro – in a number of similarly-constructed poems. 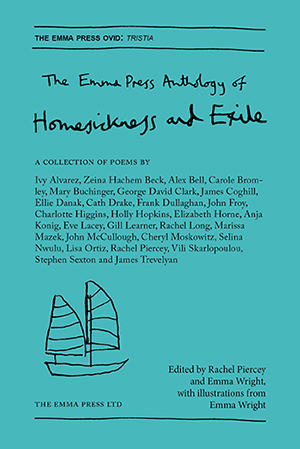 Another sequence of poems enumerates the planets, reading like nursery rhymes or taunts in a schoolyard. These recurring pieces form a kind of scaffold or set of warp threads for the book. Not all of these scaffolding poems hold their own when read as single works, but I made my peace with them in the context of the complete tapestry of the collection. Perhaps the repetitive forms and themes are more compelling in a looser multimedia setting, in song or image.